As conservationist-II with the California Conservation Corps (CCC), Shawn Fry has a passion for the great outdoors and training young people to carve out a productive life ahead of them. "CCC was my calling," said Fry. "As a conservationist, my contact with young corps members has made me a better man." Fry started out as a corps member in 1981 at the Owens Valley fire camp near Bishop when it was operated by the CCC. His experience as a corps member led him to a career fighting fires for the California Department of Forestry and Fire Protection for 19 summers both as a firefighter and a fire apparatus engineer. In 1998, when seasonal firefighting work became a hardship for his family, Fry applied for a conservationist-I position with the CCC and began leading young people along the very path he started on. "I worked as part of the used oil recycling education program," recalled Fry. "And I trained my first CCC fire crew. That was a new and challenging experience." At one point, as a fire crew supervisor, Fry had the only CCC fire crew in the state. At one point, as a fire crew supervisor, Fry had the only CCC fire crew in the state. 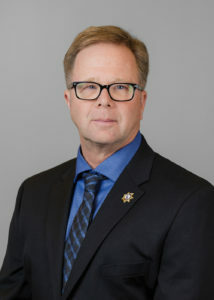 Fry is currently in Redding where he has assumed the role as projects coordinator at CCC and now president of the Association of Conservationist Employees (ACE). Fry joined the ACE board of directors three years ago after becoming inquisitive about how his association dues money was being spent. "I got involved with the associations because I didn't think people were doing anything for me," said Fry. "Like a lot of conservationists, I wanted to know where my money was going." Since then, Fry said, he has learned a lot. Fry first served as ACE vice president and now as president wishes to start his term with a positive spirit, while challenging conservationists to be the best professional corps leaders they can be. "I want to make a positive impact on conservationists and the CCC," said Fry. Fry also strives to educate conservationists about the importance of labor associations. "Public safety is constantly being attacked," said Fry. "And while you're on the front lines of public safety, fighting a fire, you need someone on the front lines of politics, fighting for you, your rights, your future and that's what associations do and it takes money to do it. That's what I tell other conservationists."